Here we are friends! On the very last step of our Wattle skirt construction! All we have to do now is hem. Views A+D have a narrow hem, and views B+C have a wider hem. But if you’d like a narrower hem on B or D, just simply shorten the skirt by the difference between the included hem (2 1/2″) and your desired hem. But I’ll show you both below! 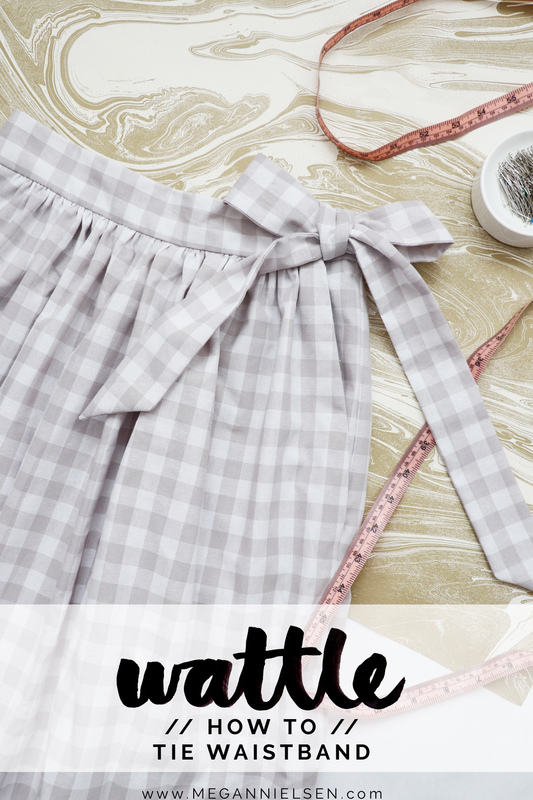 It’s time for my favorite waistband version of the Wattle skirt – the tie waistband! It’s such a unique waistband closure, and oh so sweet! If you’ve sewn the tie waistband on the Flint pants before, this process will be exactly like that, but the ties are just longer. I personally love the longer ties paired with the skirt, but I’d love to see someone use the shorter ties from Flint on their Wattle skirt! Just an idea ;). Either of the waistbands can actually be attached to any of the style skirt options for Wattle. For this tutorial, I’ll be attaching the tie waistband to a gathered version (view C). But it is the exact same process if you adding it to a pleated (view B) or bias cut (views A/D) skirt. 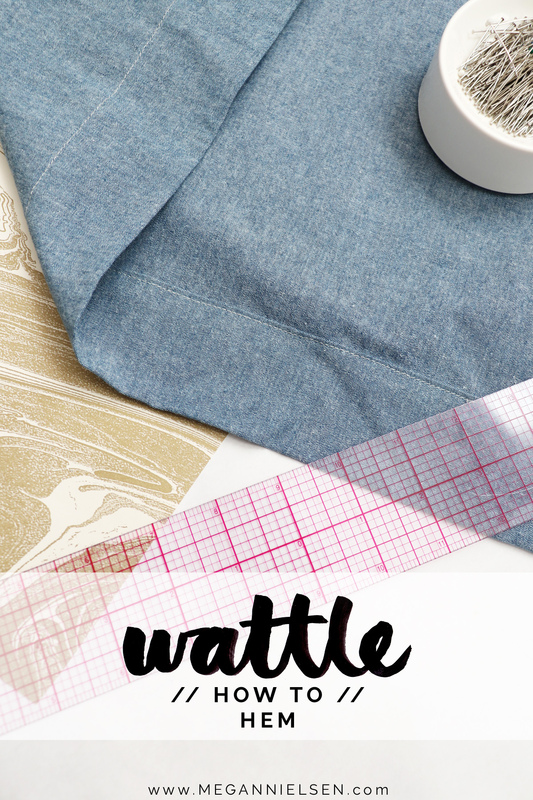 Whether you went with bias cut, pleated, or gathered – by now you have the main body of your Wattle skirt complete. It’s time to move on to the waistband! 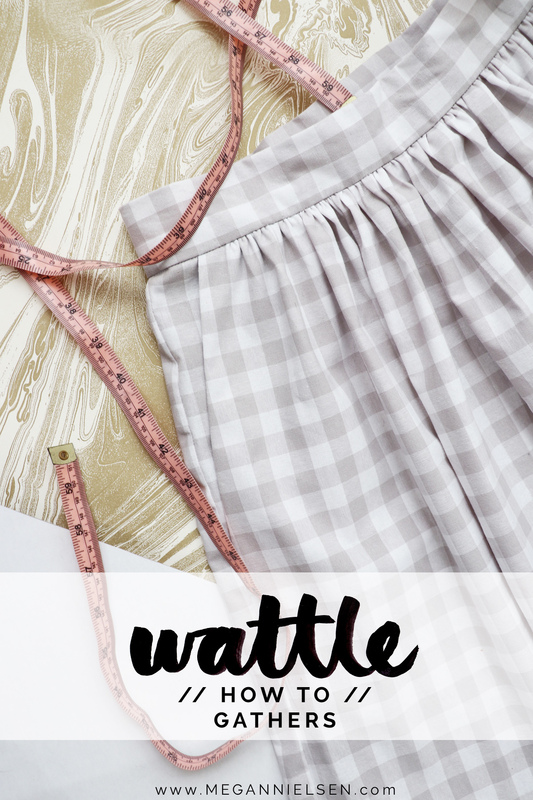 Wattle offers two really great waistband options, and today we will go over the button waistband version. Stay tuned for the tie version tomorrow! Either of the waistbands can actually be attached to any of the skirt style options for Wattle. For this tutorial, I’ll be attaching the button waistband to a bias cut version (view A/D). But it is the exact same process if you adding it to a pleated (view B) or gathered (view C) skirt. You guys, I love the gathered version (view C) of the Wattle skirt! Such a sweet and classic skirt style that creates a really full look. It’s a super simple construction, so I’m going to keep this short and sweet and get right to it! 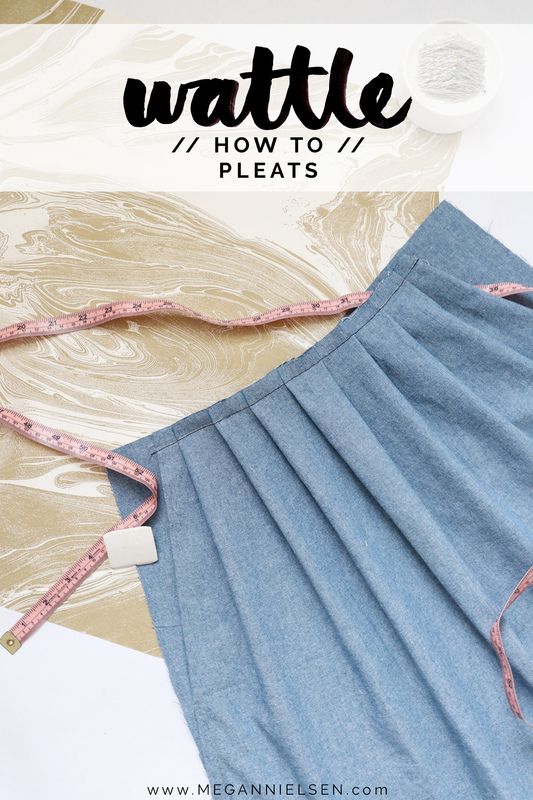 For those of you making a pleated Wattle skirt – this post is all for you! And it’s going to be a fun one, because there are actually many different pleat patterns you can choose from. And I’m going to show you five of them today! It’s important to note that you may find it easier to wait to attach your pockets until after you’ve completed your pleats. But you can also do pockets first, if you’d like. You’ll notice in the different samples before that some have pockets already, and some don’t.